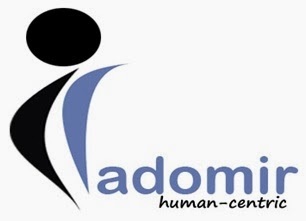 RADOMIR | Human Resources | Technology Consulting | Outsourcing : RADOMIR Hiring!!! Medical Billing Experienced (10 Nos) & payment posting system. 6 months – 1 yr of exp in US Healthcare billing concepts & exp in PMS having exposure in Payment Posting & Denial Management - Salary Range – 8 – 10K Take Home. 4 – 5 yrs of exp in Sales (Tele calling) in US Market from Healthcare Background or international sales – Salary Range – 3 – 3.5L/ Annum.and they(He/She) must having in convenience skill. Fresh graduates willing to travel in and around Chennai, having two wheeler. Salary – 7500 take home + Statutory benefits. Software candidates should have exposure in programming as well as designing. Candidate should done MSC(chemistry) fresher only. candidate have to experienced in BPO Recruiter atleast 1 to 2 years,and good communication is necessary.